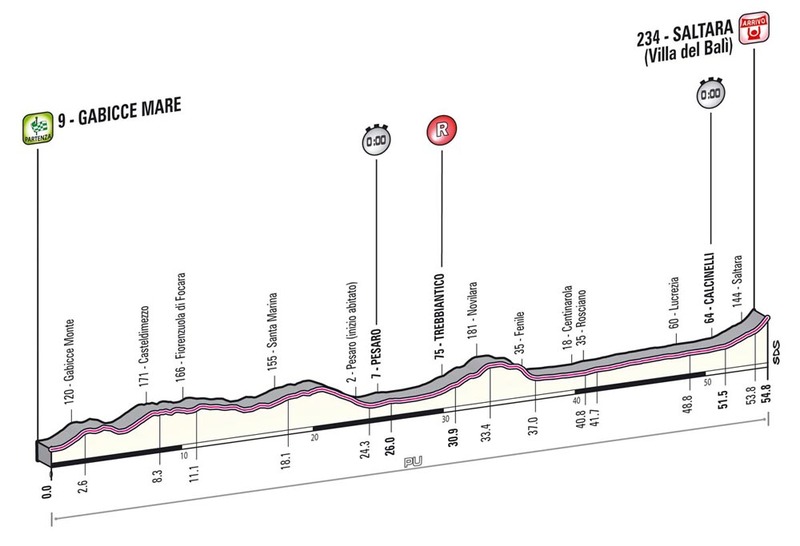 Besides the days in the high mountains in the Alps, if there is one day that could decide the 2013 Giro d’Italia, it’s this 54.8km time trial to Saltara. It has the potential to blow the doors off and allow time trial-strong riders like Bradley Wiggins to gain a significant advantage. Any doubts that Wiggins may have had about racing this year’s Giro were probably erased by the long TT in Le Marche. As in the Tour last year, he will try to gain as much advantage as possible during the time trials and defend when the road tilts upwards. There is some suspicion that the organiser created this stage to attract Wiggins. Initial rumours said it was only going to be a short TT or a road stage. Even if true, the Giro has only 92.8km of time trial versus the 101.4km in the Tour, and in the former race that includes a team and mountain TT. The time trial follows a technical road out of Gabicce Mare. 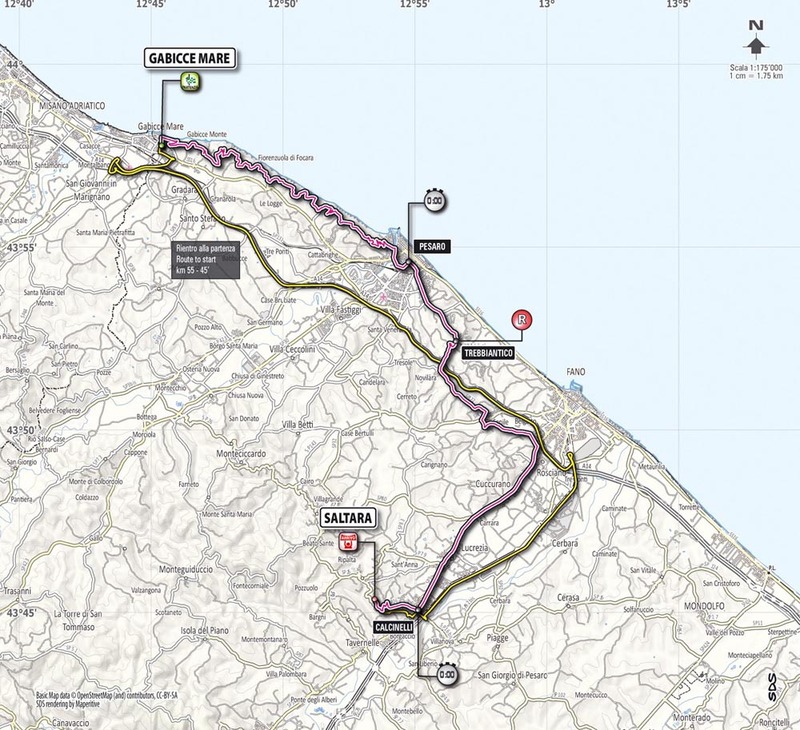 Once the riders reach the midway point, in Pesaro, the stage becomes mostly straightforward. Le Marche’s hillsides are full of hidden gems, with the best known being Urbino. It’s a World Heritage Site, with Palazzo Ducale housing many Renaissance paintings. Save some time in the evening, though, because this area is known for Verdicchio white wine.